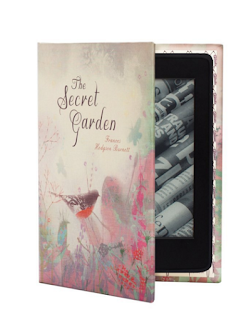 100 Bookish Gifts for Book Lovers ~ Books for What? Book lovers, beware! This post is going to make you break your budget and get new bookish accessories. We, people who love books, are a different species. Regardless of whether we prefer pixel or paper, we sure do like our literary decorations and ornaments. 1. Bookish... and Proud of It. Get it here. 2. 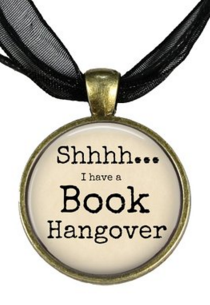 I have a Book Hangover. Get it here. 3. 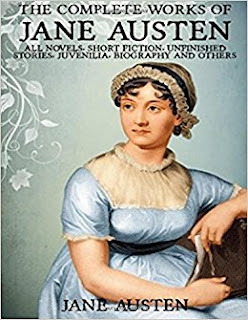 The Complete Works of Jane Austen. Get it here. 4. Bookworm Wrap ring. Get it here. 5. The Hobbit bookmark. Get it here. 6. 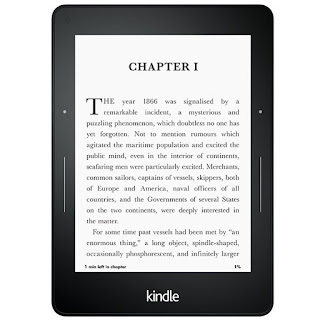 Kindle Voyage E-Reader. Get it here. 7. Kindle Klevercase. Get it here. 9. HighSun Literary Mr. Cat. Get it here. 10. 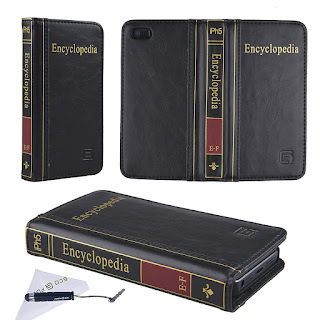 This book-like iPhone case. Get it here. 11. Library Card Canvas Tote Bag. Get it here. 12. Outop Elegant Antique Book Tissue Dispenser. Get it here. 13. Alice In Wonderland Pouch. Get it here. 14. Onesie - The Little Prince. Get it here. 15. Watership Down T-Shirt. Get it here. 16. 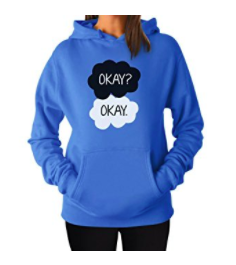 The Fault in Our Stars Hoodie. Get it here. 17. Afoxsos The Hunger Games Bracelet. Get it here. 18. The Call of the Wild T-shirt. Get it here. 19. Eat Sleep Read Earrings. Get it here. 20. 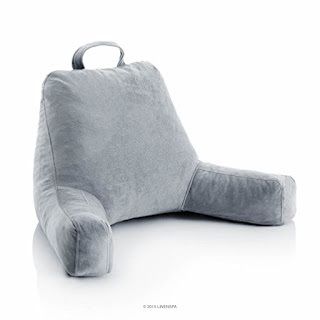 This comfy reading pillow. Get it here. 21. Book Lovers Never Go To Bed Alone T-Shirt. Get it here. 22. I Love Books Earrings. Get it here. 23. 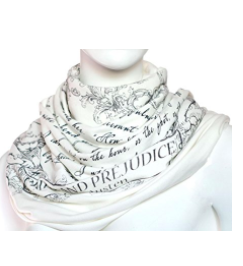 Pride and Prejudice Scarf. Get it here. 24. Edgar Allan Poe Socks. Get it here. 25. Read Books and Be Happy Jumper. Get it here. 26. Foot Traffic Socks For Bookworms. Get it here. 28. Book Lights. Get it here. 29. See-N-Read Reading Tool. Get it here. 30. Why Can't People Just Sit and Read Books iPhone Case. Get it here. 31. Bookend Set - Creative Co-Op Metal Arrow. Get it here. 32. Harry Potter and Hedwig Bookend. Get it here. 33. Game of Thrones Bottle Opener. Get it here. 34. 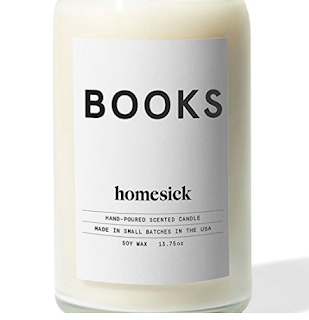 This book-scented candle. Get it here. 35. Ayn Rand Atlas Shrugged Bottle Opener. Get it here. 36. 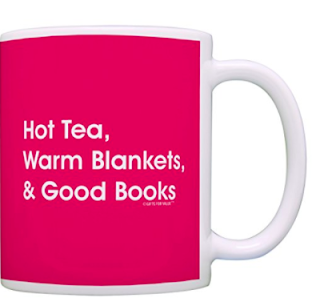 This bookish coffee/tea mug, available here. 37. Never Judge a Book by Its Movie Bookmark. Get it here. 38. PagePal Page Holder. Get it here. 39. A Bamboo Reading Rack. Get it here. 40. Harry Potter Marauder's Map. Get it here. 41. Lemony Snicket Earrings. Get it here. 42. Reading Magnifier. Get it here. 43. Direwolf Bookmark (Inspired by Game of Thrones). Get it here. 44. Book Holder and Travel Pillow. Get it here. 45. The Book Lover's Journal. Get it here. 46. 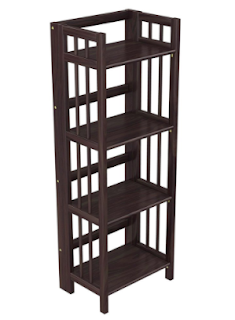 This folding bookcase. Get it here. 47. 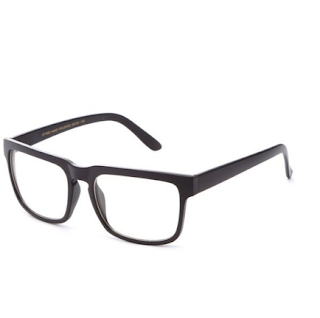 Plain Glasses. Get it here. 48. Always Harry Potter Poster. Get it here. 49. Charles Bukowski Quote Poster. Get it here. 50. Kurt Vonnegut Literary Mug. Get it here. 51. To Kill a Mockingbird Poster. Get it here. 52. Oh, The Places You'll Go Dr. Seuss Poster. Get it here. 53. Book Necklace. Get it here. 54. 1001 Books You Must Read Before You Die. Get it here. 55. Potterhead Keychain. Get it here. 56. Readers Gonna Read Mug. Get it here. 57. 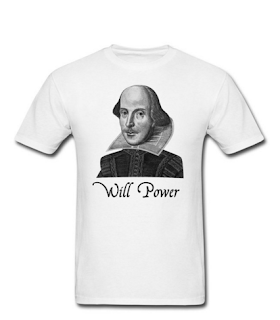 Will Power Shakespeare T-Shirt. Get it here. 58. I Like Big Books and I Cannot Lie Tote Bag. Get it here. 59. John Steinbeck Quote Poster. Get it here. 60. Night Circus Brooch. Get it here. 61. You Fell Asleep Here bookmark. Get it here. 62. Tequila Mockingbird. Get it here. 63. Novel Teas and literary quotes. Get it here. 64. We're All Mad Moleskine. Get it here. 65. Miniature Book Necklace. Get it here. 66. Bad Grammar Makes Me [sic]. Get it here. 67. I Love a Good Book Typography poster. Get it here. 68. Handmade Candle Bibliotheque. Get it here. 69. I finished my book and now I don't know what to do with myself. Get it here. 70. Reading is knowledge tote. Get it here. 71. My Wine Club Has a Book Problem Tote. Get it here. 72. Handmade Book Cover Antique. Get it here. 73. Harry Potter Quidditch Snitch Pendant. Get it here. 74. Book Clutch. Get it here. 75. Stack of Books Suitcase Bag ID. Get it here. 76. Peter Rabbit Water Bottle. Get it here. 77. Fahrenheit 451 Tote. Get it here. 78. Twilight Bookmarks. Get it here. 79. Fangtasia T-shirt. Get it here. 80. Lumio. Get it here. 81. 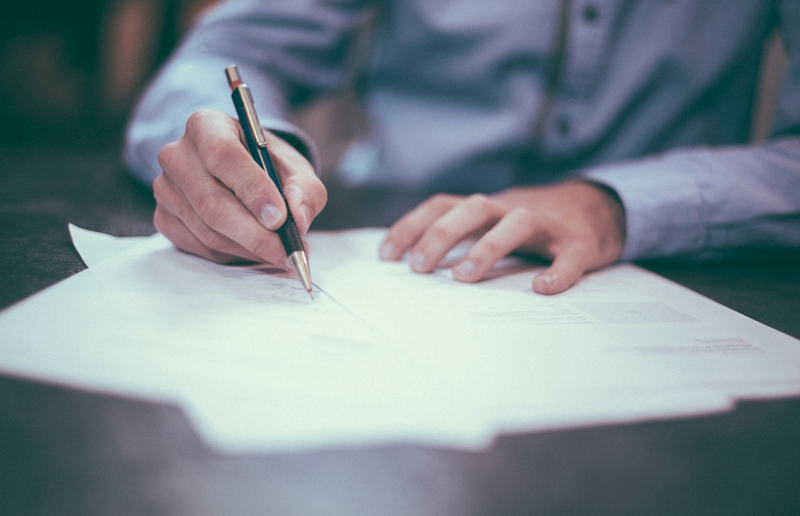 Read, Remember, Recommend Journal. Get it here. 82. Society 6 The Bookish Forest Mug. Get it here. 83. MightyBright XtraFlex. Get it here. 84. What Would Life Be Without Books? Tote. Get it here. 85. Bookbone. Get it here. 86. Moleskine Peanuts. Get it here. 87. Just One More Chapter Pillow. Get it here. 88. I Love Reading Snoopy Smartphone Case. Get it here. 89. Headboard Light WalterDrake. Get it here. 90. I'd Rather Be Reading T-shirt. Get it here. 91. Books Are My Bag Tote. Get it here. 92. 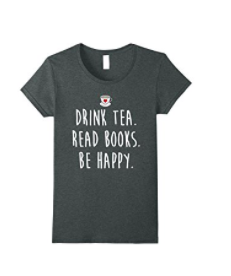 Book Nerd T-Shirt. Get it here. 93. So many books, so little time, Frank Zappa quote poster. Get it here. 94. Divergent bracelets. Get it here. 95. Reading is my super power mug. Get it here. 96. I am simply a book drunkard T-Shirt. Get it here. 97. Library necktie. Get it here. 98. Neil Gaiman quote poster. Get it here. 99. Hercule Poirot Candle. Get it here. 100. Owls i-Clip Magnetic Page Markers. Get it here.